I have traveled to Bucaramanga, which is known as a “City of Eternal Spring” in Colombia, several times over the past seven years. And I don’t understand why this attractive and small city in Colombia hasn’t been discovered by more foreigners. Medellín, the second largest city in Colombia with its metro population of about 4 million, seems to get all the press as Colombia’s “City of Eternal Spring.” But Bucaramanga actually beats Medellín in several important categories–with a lower cost of living, less traffic, and less pollution. There is plenty of shopping with several modern shopping malls, many good restaurants, and many things to do, like visiting one of over 160 parks scattered throughout this pretty city. In addition, there is much to do nearby, including the Chicamocha National Park and San Gil—Colombia’s Adventure Capital—located only 60 miles away, where you can find kayaking, paragliding, white-water rafting, caving, waterfall rappelling, and so much more. The average daily temperature in Bucaramanga ranges from 64 F to 78 F so there’s no need for cooling or heating. 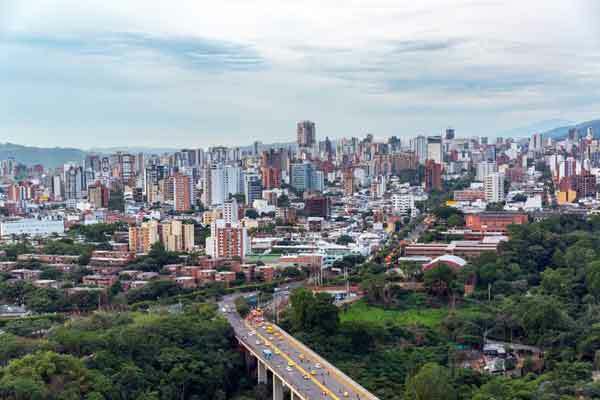 The Colombian peso has been weak over the past couple of years, which has made real estate prices in Bucaramanga even cheaper in terms of dollars. There is also a generous supply of quality properties available in Bucaramanga with a well-organized real estate market. Construction standards tend to be high—but prices are much lower than you’ll find in several other cities in Colombia and most markets in Latin America. 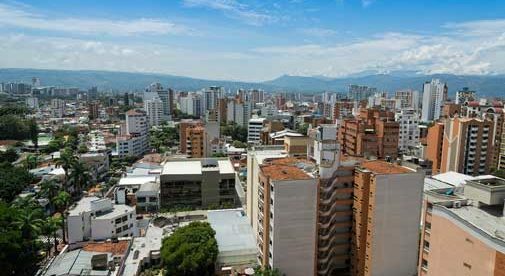 Low real estate prices contribute to the low cost of living in Bucaramanga. A couple could live here for $800 to $1,200 per month if they owned their own home. There are apartments available in Bucaramanga to suit every budget. If you are looking to rent, you can find good two- or three-bedroom unfurnished apartments in the nicer neighborhoods in the city for $300 to $500 per month. An area of the city I recommend is Cabecera del Llano with its nice Parque San Pio park, which stretches over a couple square blocks. This area includes the popular barrios of Pan de Azúcar, Sotomayor, Cabecera, Conucos, and Altos de Cabecera. For those looking to buy, a five-year-old unfurnished apartment is a good example of what the area has to offer. It’s a three-bedroom, two-bathroom unit of about 1,162 square feet in Cabecera, with two garage parking spots, and a nice view from the balcony, priced at only $102,775. For those looking to spend more, $457,561 will get you luxury in Bucaramanga. A large 2,691-square-foot apartment in Cabecera, with four bedrooms, five bathrooms and two garage parking spaces, a large balcony and incredible city and mountain views, as well as a private elevator to the apartment. The building also features a pool, fitness area, and doorman.